Before moving to France, I had heard of the Loire Valley and figured it referred to the area surrounding the Loire River in central France. It’s where many of the country’s famed châteaux are located and is home to some of France’s best wines. I was more or less right, but realized right away I needed to clarify my understanding of the Loire Valley because it was leading to confusion. After living here for over 5 years, I finally have everything straight in my head but that hasn’t always been the case. Shortly after getting acquainted with my new region in 2012, I realized there was another Loir Valley, and this one doesn’t have an “e” at the end. And there is an entire department called Loire! Say what?! Unless you’ve taken a keen interest in French geography and have seen the words written down, it’s not something you’d casually know just passing through. So let me clarify. Let’s start with the rivers. There are 2 rivers in France pronounced exactly the same way. The Loire and the Loir. 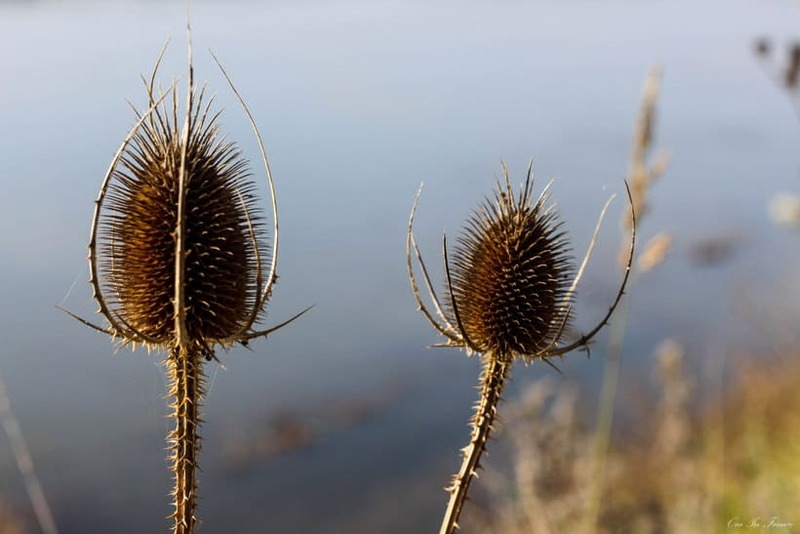 In French, no one gets them confused because one is la Loire and the other is le Loir. The la and le make a difference. More on that below. 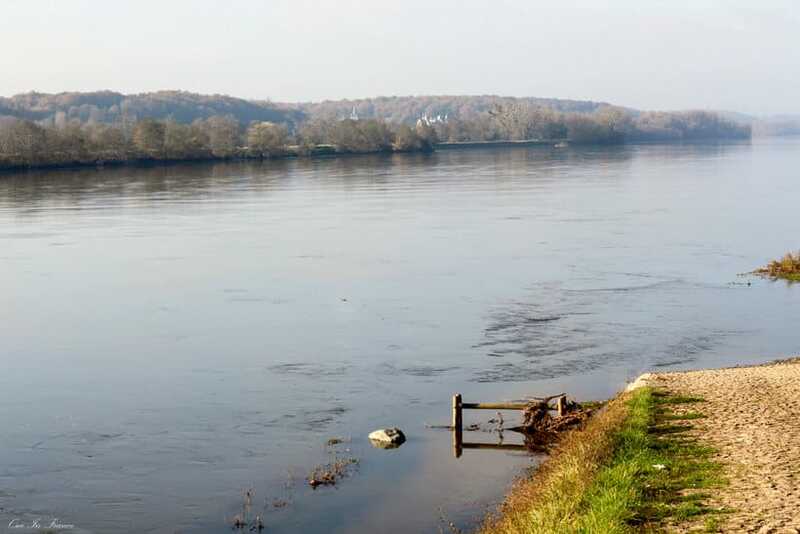 First, we have the the most well-known river of the two: la Loire, France’s longest river (171st in the world) at 1,012 kilometers long and runs from the Massif Central to the Atlantic Coast. As you’d expect, the Loire Valley is situated in the middle area of the Loire River (la Loire) in central France and refers to both the Pays de la Loire and Centre-Val de Loire regions. When you think of the Loire Valley, you think of castles and towns like Angers, Saumur, Amboise, Tours, and Chinon. The area is a top tourist destination for history buffs and those who enjoy noteworthy architecture, wine and stunning scenery. And that’s just getting started! We even went for a hot air balloon ride in Chinon last year which was one of the coolest things I’ve ever done! In terms of area, the Loire Valley covers about 800 square kilometers of land. If you say you live in the Loire Valley, it’s kind of vague because the area is quite vast. For the purposes of my blog, I say I live in the Loire Valley because it’s specific enough without pinpointing my exact town. Now, this is where it starts to get confusing. There’s also the Loir River (le Loir), which is a left tributary of the Sarthe. Its source is in the Eure-et-Loir department and meets the river Sarthe in Briollay, just north of Angers. It is indirectly a tributary of its cousin, la Loire, which we just talked about. You can get a closer look on this map. To refer to an even more specific geographical region, we have the Loir Valley (vallée du Loir) and this encompasses the area to the northeast of Angers heading toward Le Mans in the Sarthe department in the Pays de la Loire region. (Tom and I will be spending the weekend in the Loir Valley soon, so stay tuned for that.) The Loir Valley includes towns like La Flèche, Durtal and Le Lude. Your everyday French person wouldn’t know of le Loir unless he or she was from the area or had visited. In English, the word “the” doesn’t have a gender so it’s always THE Loire/Loir. Because of our pesky “the,” it’s not super clear which one we’re talking about in English since we pronounce both rivers the same way. Most of the time, when tourists are talking about the Loire Valley, they’re talking about la Loire and the general geographic area that encompasses Pays de la Loire and Centre-Val de Loire regions. So why isn’t this confusing in French? In French, the Loire/Loir Valley translates to la vallée de la Loire and la vallée du Loir, respectively. 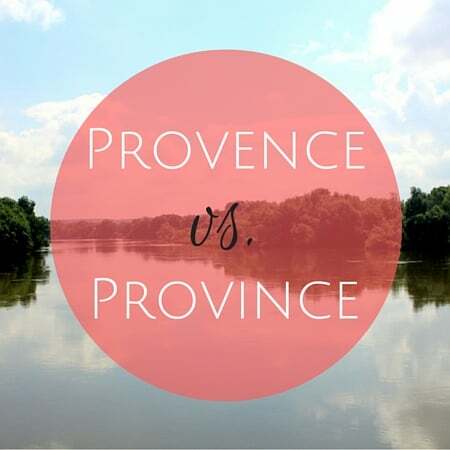 French natives wouldn’t be confused in a conversation about the Loire/Loir because the “de la” or “du” clarifies exactly which Loire/Loir we’re talking about. One is feminine (la Loire) and the other is masculine (le Loir). As I was writing this, Tom also added his two cents. He said that even if you’re French, not everyone is aware of le Loir. If they’re not from the area and they hear someone talking about la vallée du Loir, they might scratch their head and think the other person is terrible at grammar, “Doesn’t he know it’s LA Loire?” they’d think. When in reality, the person is absolutely correct to say vallée du Loir if they’re talking about le Loir (and not la Loire)! So… in English, how do we keep the 2 Loires straight? It’s best to just be specific (but as I mentioned, most people just passing through are referring to the Loire Valley, and not the lesser know Loir River area). Now to complicate things further, Loire is also the name of a French department down by Lyon! Remember, la Loire is a verrrrrry long river. I didn’t realize quite how long it was until I moved here and picked up a map while on a road trip. 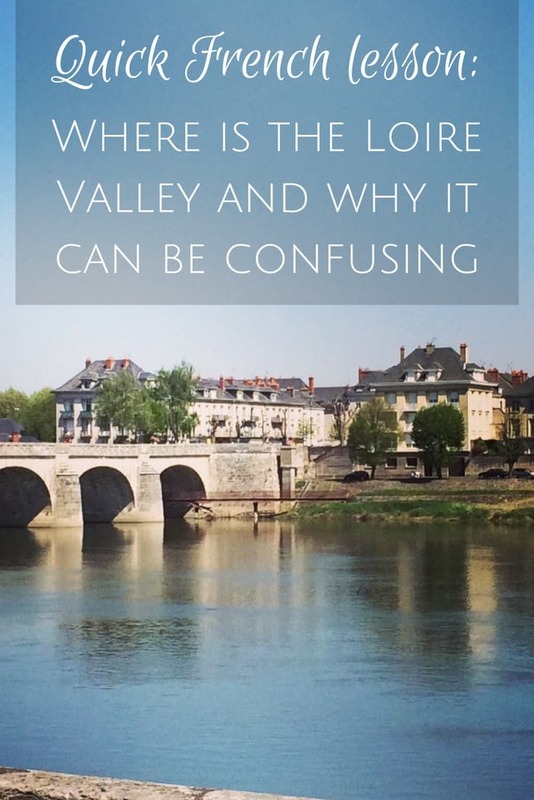 Even in recent times, referring to the Loire has led to confusion. 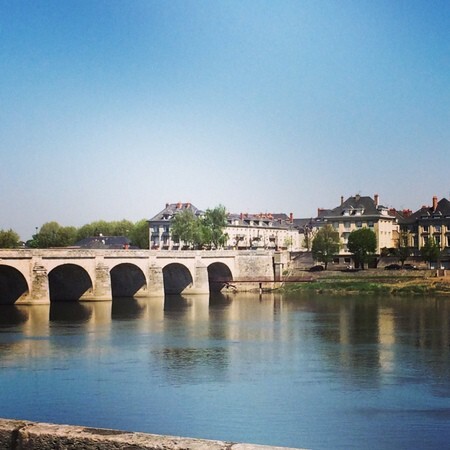 One of my French readers messaged me a couple of months ago and at the end of her message said, “Wishing you a good weekend from the Loire,” and I responded with, “Oh, are you in my area on vacation?” thinking she was up by me near Angers. I didn’t realize that she meant the French department of Loire (42) which is actually a 5+ hour drive from here! 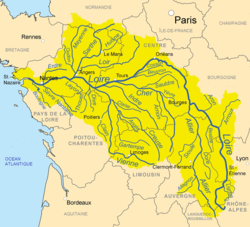 FYI, the French department of Loire is part of the administrative region of Auvergne-Rhône-Alpes. It’s nowhere near Angers and “my” Loire Valley. Again, keep in mind that we often hear of the “Loire” as the Loire/Loir Valley and not the department (not when you live in the Pays de la Loire, anyway). I’ll often hear visitors say (or type on Facebook) things like “Greetings from the Loire” (just like my French reader said) except non-French people mean, “Greetings from the Loire Valley” (probably somewhere up here in the Pays de la Loire/Centre regions around Angers/Saumur/Tours). Got it? 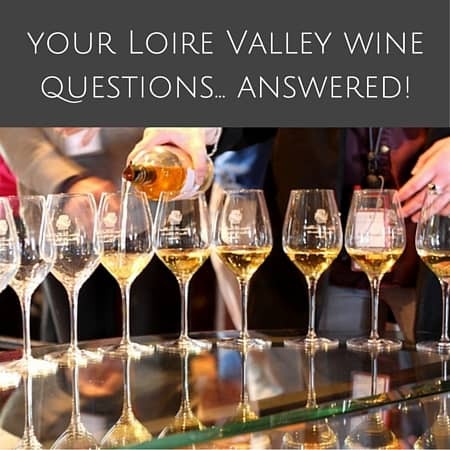 So when someone asks you, “Where is the Loire Valley?” now you know. See how all this Loire Valley talk can lead to misunderstandings? Great article! 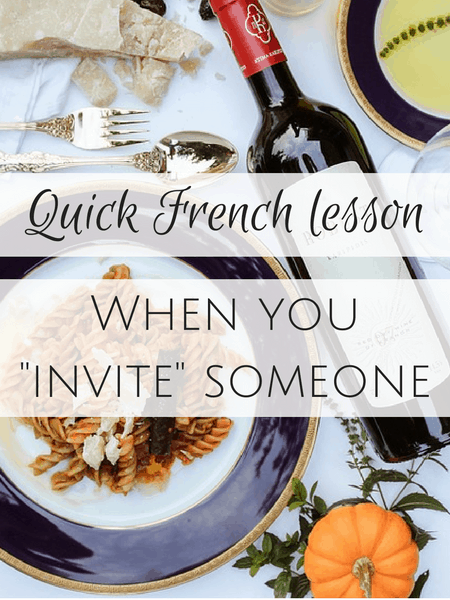 My husband is from the Loire department, in the Auvergne-Rhône-Alpes, and you’re right – it’s unfortunately nowhere near you! It does have a lot of offer, but boy, it can be confusing at first to get the different “Loire” names figured out. I never knew this. Can’t wait to share with my students. (especially about the “de la, and du” since we are always working on that, and the spelling. If I had seen Loir without the “e” I would’ve assumed it was a typo. And people say to me “Oh, there are some lovely chateaux near your home, then?” – and yes, there are, but not the ones THEY’re thinking of, because ( yes, you’ve guessed it) I live in Dept 42. It has caused some problems explaining to people that I’m not where they think I am! I knew there were the 2 Loir(e) rivers, and that one was Le and the other La, but I wasn’t really aware that you could talk about the Valleys of both of them. Yup, it can really lead to confusion. I’m sure that having to explaine is a near-weekly occurrence for you! Oops, should have added #AllAboutFrance. I always forget that. Oh my gosh! 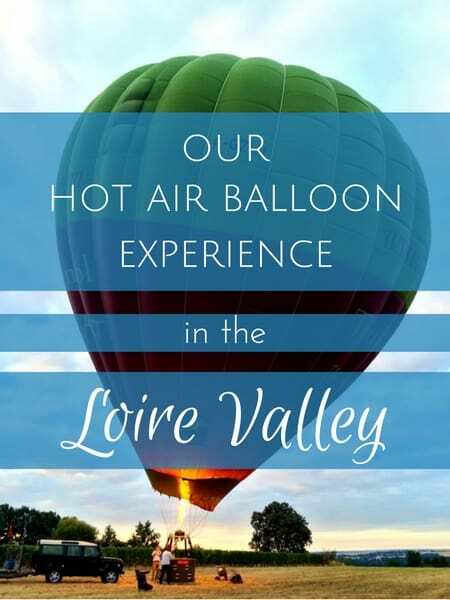 I didn’t even know there was a Loir Valley, so I was living happily without confusion before I read this! Hahaha! Now, I’ll have to keep my ears open if someone mentions “The Loir/e to figure out which one they are talking about! Thanks for thetip! Hi Diane, happy new year! 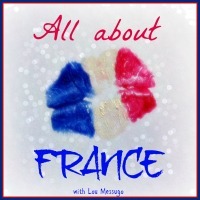 Can’t believe I’m commenting on December’s #AllAboutFrance the day before the next one, 2 month’s later! Sorry! Life just got in the way but I’m very happy to read your explanation of Loire and Loir. I came across le Loir a few years ago when staying with friends in Durtal. Actually I know le Loir better than La Loire, unusually. Thanks for linking up, hope to see you again tomorrow…. Very good article. I have seen this confusion on maps before and wondered what the heck??? My husband and I spent 10 days in La Loire Valley in 2016. We stayed in the beautiful town of Amboise in an apartment right in front of the chateau. We toured all the chateaux in the valley and tasted some great wines. It was a wonderful dream trip for us. Thanks for this very helpful info. We are in the process of moving to the Loire Valley — the village of Le Grand-Pressigny, and I need to learn as much as possible about this area!